What are the main principles of safe and fair play in Evertile? Our aim is to create a safe, fair environment for the Evertile game. This is why all instances of cheating or offensive behavior will be severely punished. If a player violates the basic principles of safe and fair play, their account will be subject to penalties, such as cancellation of in-game currency or a temporary or permanent suspension of the account. By this explicit policy we hope to guarantee players a chance to enjoy our game in a fair way. IMPORTANT! We treat these matters very seriously. Any disciplinary action is preceded by a thorough investigation. Disciplinary actions are not subject to discussion, and temporary or permanent blocking cannot be appealed. By following the basic principles of safe and fair play in Evertile you help us to protect your account and device, as well as create a safe gaming environment. Using bots or mods in Evertile is considered cheating. Third party software changes the functionality of the game, giving an unfair advantage to certain players. The following categories are treated as third-party software: – “hacks”, “mods” or programs that unfairly change game functionality; – “bots”, game process automatization services, and scripts; – any other programs aimed at game modification or acquiring unearned advantages. All of the above might adversely affect your account and privacy. When a breach of the terms occurs that involves the use of forbidden software, the offender’s account will be blocked permanently. There can only be one account! Account sales involve advertising advanced game accounts, and luring players eager to progress with tantalizing and unrealistic promises. Selling, buying, sharing or giving game accounts to other players is against our terms of service and never endorsed by Supergaming. The risks surrounding account sales are: The seller may take your money and never give you the account You cannot be sure that the seller won’t continue using the account They may be selling the same account to multiple people The account status is unknown; it could already be poised for permanent ban The account will never be secure; Supergaming cannot provide support for compromised accounts If you choose to spend money on the account, it is still in danger of permanent closure due to breach of our ToS Help stop this nasty practice by refusing to sell your account, and reporting those who do! Consequences of misconduct: We cannot guarantee the security of any account that has been passed from one player to another; we reserve the right to permanently ban any account that has been transferred between players. We do not aim to list every example of acceptable or unacceptable behaviour, but below is a shortlist of things that we consider inappropriate. The titles give a good sense of what each entails, and mostly it’s just common sense. However, further detail can be found here, should you need it. Abusive Behaviour – Use of Third Party Software – Unauthorized Gem Selling / Buying – Buying, Selling and sharing game accounts – Phishing other players’ accounts – Refund abuse – Knowingly exploiting a bug – Encouraging others to break the rules – Asking for or providing personal contact information Accounts found to be in misconduct with any of the above mentioned will face penalties including but not limited to: – revoked in-app currency – temporary game suspension – permanent game suspension We will not debate penalties and we cannot provide support for game accounts that have been involved in inappropriate behavior. Help us create a great gaming environment, and safeguard your account and device by keeping clear of any issues. I didn't get a single legendary tile! Legendary tiles are the rarest tiles in the game, but they can still be found in any Chest (except for the Epic). The highest probability to find a legendary tile is in the Super Magical Chest. In the Legendary Chest the probability is 100%. Earn more Chests and your efforts will be rewarded! When will I get a Legendary Chest? Legendary chests are the rarest of them all, so don’t worry if you haven’t received one yet. All players will receive the same number of Legendary chests, though not always with the same timing. IMPORTANT: Keep your account safe from theft! “Hacks” as they are called, can only occur if a user somehow acquires your personal login information, so it’s up to you to keep that data discreet. If you keep these 3 rules in mind, your account will remain protected: – Never share your Google Play info, or passwords with anyone – not even us! Supergaming employees will NEVER ask for your login details. – Avoid logging into your account on someone else’s device. And if you really need to do so, don’t forget to log out when you’re done! – If you’re purchasing in-game currency, only do so in-game. Online “gem shops” trade in stolen credit card information and stolen accounts. REMEMBER – Do not trust websites that promise you free gems. That’s how they steal your account. Selling, buying, sharing or giving game accounts to other players is against our terms of service. Read more about the terms at: Terms of Service We cannot guarantee the security of any account that has been passed from one player to another. We reserve the right to ban any account that has been transferred between players. Account salespeople are not what they seem. They’ll take your money without ever actually giving you the account. Help prevent this nasty practice by refusing to buy or sell accounts and reporting those who do! 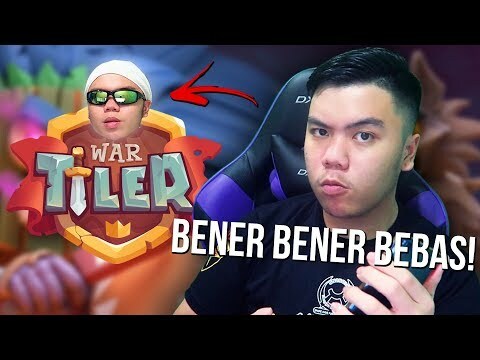 How can I change my game name? The game name can be entered only twice – during the tutorial and after unlocking level 4. If the name change button is grayed out this means you either already used the option or haven’t reached level 4 yet. If you encounter any problems with changing your game name, make sure you entered the same new name twice. Check the spelling. When you enter the new name twice, you’ll be asked to confirm the changes by entering “CONFIRM” in capital letters. DO NOT use special symbols or emoticons in the name, as they may be displayed incorrectly. If the game informs you the selected name is unavailable, this means it is completely or partially blocked by our language filter or it doesn’t meet other requirements. Please select another name or write it in a different way. Several tips before you decide to change your game name: – Never use your full name – remember to protect your personal data! – Please do not use offensive names. – Try to think of something unique and unusual; if you happen to lose access to your personal account it will be easier to restore. Earn Experience Points (XP) by upgrading tiles. Please note, that winning / losing matches, or opening Chests (of any kind) will not grant XP. We support only one saved game per account and device. To prevent this special game from somehow getting lost, please make sure it’s saved! To save game progress, you must: For Android: attach your game to Google Play Important: Playing without the necessary attachment may lead to permanent loss of progress. This may occur: if you start using another device, reinstall the game, or factory reset. Play smart. Play safe! Will Supergaming employees ask for my passwords? Supergaming employees will never ask you for any login details or passwords. Please do not share your Google Play, Facebook passwords or any other personal information with anyone. Doing so may compromise your accounts. If you receive any suspicious e-mail(s) relating to your game or relevant accounts, please report the player in question and we’ll do everything we can to help. To transfer your account to another device follow these steps: Android > Android 1. Verify that your game is connected to Google Play. 2. Add the same Google Play account to the settings on your other device (Users > Add new). 3. Launch the game, tap on “Sign into Google Play” and select your e-mail address. A pop up will confirm the transfer. IMPORTANT: This feature cannot be reused. Following use of the “Link a Device” feature, your game will be connected to Google Play. You’ll be able to use those services to connect your game to further devices. My account is lost. How can I retrieve it? Lost your account? We’re here to help you to get it back as quickly as possible. It’s highly probable the information below will help you to retrieve your account on your own. WARNING: if you load several accounts on one device you might lose access to one or several of them. If your account is missing when you connect to Google+/Google Play: 1) Make sure you added the correct Google Play account to your device. 2) In game settings (in the top right corner of the screen) tap Google Play (the button should be red). The game will display the player’s name and XP level of the account it is about to load. Make sure the account is the one you need, and tap “Yes”. If the information above didn’t help, please contact our Technical Support. I connected to Google Play but my account isn't loading! It’s extremely important to use the correct credentials when logging in, so please make sure you’re connecting to the right Google Play account. If you can’t prompt your desired account with the email address you’re using now, that means it’s probably not the right one. To properly access your account, please: 1) Make sure you have added the correct Google Play account to your Android device 2) In the in-game settings, tap on ‘Google Play Sign-in’ and connect with the e-mail address originally used to sync your account (the one you have lost) 3) If your account was linked to an old email that you no longer have access to, contact Google Support (https://accounts.google.com/signin/recovery) to recover your account’s information. Supergaming cannot access information related to your Google Play account, so we need the help of both you and Google to find the correct login details that will let you recover your game account. Is Evertile free to play? Evertile is free to download, install and play. In-game currency can be used to expedite progress, but all of the game’s content can be accessed with or without it. There are also in-game offers, some of which can be bought with Gems, Gold or real money. Purchases are made through Evertile in-game shop. For maximum security and customer protection, purchases are processed exclusively by Google Play Games. Gems can be collected throughout the game – small amounts can be found in Free chests and Killer chests. Providing a first-class experience for our players is extremely important to us – that’s why every area of the game is equally accessible to all as they level up, regardless of whether they invest real money or not. Google Play processes all purchases made via the in-game shop. Google purchase methods vary by country. Credit & debit cards: Visa, MasterCard, Amex, additional country-specific cards (e.g. Elo credit cards in Brazil) Carrier Billing: depending on customer country and carrier. Google Play gift cards: available in selected countries. Google Wallet Balance: only available in the US and UK If it’s your first time making a purchase, your payment method will be added to your Google account. For a list of available methods by country, please refer to this link. Gold is one of two currencies in the game, it can be used to buy tiles from the shop and upgrade them. Gold can be obtained in various ways – opening chests and winning battles. Buy it in the shop. Gems are the most precious resource in the game. You can use them to purchase gold packs in the Shop, and unlock chests quicker. Gems can be purchased in the Shop or found in chests. Can I return Gems I spent by accident? In order to minimize accidental spending of Gems in the game, we’ve introduced some simple ways to confirm purchases. When you buy something for Gems a message always pops up to confirm the transaction. 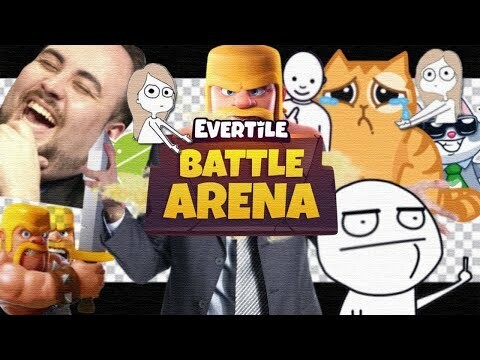 Since Evertile is a live online game, canceling changes may affect other players. It’s impossible to reverse a player’s game progress or delete things, so by returning Gems to you we’d give your account a free advantage, which would be unfair towards other players, who received the same upgrade for the Gems they earned. Short answer: nope! The only way to purchase Gems is through the in-game shop (processed securely by the Google). There are many third party websites offering in-game currency for War Tiler, but NONE of them are safe to use. Ignore whatever their websites claim, they are NOT sponsored by Supergaming. Often, third parties will ask for Google login credentials. This will give them access to your game. If you give them those credentials, we cannot guarantee your account’s security. If you purchased Gems from somewhere other than the game, we unfortunately cannot assist you any further, as your account has already breached our Terms of Service. We reserve the right to ban game accounts with Gem orders from third-party websites. If you’ve opened your game to find that Gems have gone missing, it’s because they’ve somehow been spent. Usually, this is just due to the curiosity of a friend or family member. It’s also likely if you’ve loaded your account onto someone else’s device, and didn’t sign off. They could be using it without you knowing. The game cannot use Gems on its own, purchases must be requested by the user. Accidental purchases are a possibility, though we’ve added a series of intuitive confirmation steps to prevent this. In order to prevent these instances from happening in the future, please remember to lock your screen after playing. If you’ve loaded your account onto someone else’s device, remember to log out when you’re done. For user security reasons, the Google Play Store may deem certain purchases out of the ordinary. This automatically prevents unwanted charges on your device. Purely by accident, the system has determined that your purchase was “high-risk”, canceling it in the process. Don’t worry; the reservation will clear automatically. However, you’ll be unable to make further purchases for 30 minutes (sometimes longer). In the meantime, verify that your name and billing address are exactly as listed on your credit card. If you continue receiving the “high-risk” pop-up, please refer to this link. If you’ve tried making a purchase but your order was canceled, you will not be charged for that order. However, Google Play may put a temporary “reservation” on your credit card equal to the value of the purchase. But don’t sweat it; these “reservations” clear automatically in a short period of time. Canceled purchases are likely to occur if your billing address, and/or the name registered in your Google Wallet is different than the one on your credit card. Straighten this out by contacting your bank to confirm details, then log into your Google Payments (at payments.google.com), and enter “Payment Methods” to verify that your information is consistent. To review your purchase history, please check the guides below: For ANDROID 1. Enter payments.google.com, then log in with your desired Google account 2. Select “Transactions” to display your Play Store order history. 3. Choose an individual entry to view its corresponding receipt. Android - I can't see the shop or make an order! Tell me about the different types of chests in the game! Evertile offers a great number of chest types. Free Chests are restored every 4 hours. Upon opening one chest you activate a timer for the next Free Chest. Note that you can have up to 2 Free Chests. Dead Man’s Chests appear once every 24 hours, and contain tiles, gold and sometimes Gems. They can be unlocked for 25 skulls earned in battles. Silver Chests can be won in battles. It takes 3 hours to unlock them, and they contain gold and tiles. Golden Chests can also be won in battles. It takes 8 hours to unlock them, and they contain more tiles than Silver Chests. Start to unlock them before you go to sleep, and maybe when you wake up a precious heap of tiles will be ready for you. Epic Chests can be won in battles, and they contain only epic tiles. Legendary Chests can be won in battles as well. They contain 1 legendary tile from one of the arenas! Magical Chests are also rewarded for battles. It takes 12 hours to unlock them, and they contain a great number of rewards, including an epic tile! Giant Chests are rewarded for battles. You’ll find mainly basic and rare tiles in them. They are very useful for upgrading your deck. Can I unlock several chests at once? You can unlock only one battle chest at a time. But you can always use Gems to speed up the unlock time. Also, you can unlock Free Chests and Dead Man’s chests while waiting for the battle chests to open. What tiles can be found in the chests? A chest holds tiles from the Arena in which you won that chest during a battle. For instance, if you won a chest in Arena 7, it will contain tiles from Arena 7 or lower, even though you might have passed to a higher Arena. Tap Arena icons (above the “To Battle” tab) to learn what tiles are available on a given level. My Chest gave me less tiles than it said! When Evertile says that there are 30 tiles in a chest, it means it might contain several tiles of the same type, not 30 different tiles. Also, a chest may contain Gold or Gems. Note: not every chest will contain new tiles. Rewards are selected randomly depending on warriors available in your Arena and lower level Arenas. Test your luck! Can I remove a Chest from slot? You can remove a chest from a slot only by opening it. To make it easier, try to open Silver Chests during the day. Then you can start unlocking Golden and Magical Chests before you go to sleep so they’ll be ready for you the next morning. Do I have any chance of winning a Magical Chest? Certainly! Magical Chests are very rare. This is why they don’t drop as often as we would like them to. But no worries. If you’ve fought many battles and haven’t won this chest, it only means a chest with all these precious treasures is coming up! What are Free Chest and Dead Man's chest? Free Chests: Available every 4 hours. You can have two of them at the same time. New Free Chest will appear only after you open at least one of the two you possess. Dead Man’s Chest: Available every 24 hours. Time countdown won’t start if you don’t win the skulls required to get the chest. You can have two of them at the same time (one after another). Why does it take time to unlock a chest? This is one of our most frequent questions. Let’s put it like this – before you receive a gift you have great expectations about what’s hidden in that secret box, right? Isn’t it a nice feeling? The closer you get to opening it up, the more curious you become… How could we deprive our players of this emotional experience? After all, if everything comes easily, your interest evaporates quickly. And we’d like an Evertile player to feel excited all the time. But we do value our player’s time. We can suggest you open Silver Chests during the day, and start unlocking Golden ones before you go to sleep. Then when morning comes you can enjoy the contents of both Golden and Free Chests. And for really impatient players, we’ve made it possible to instantly unlock chests for Gems. Why do I keep getting disconnected from the game? You need a good Internet connection to successfully fight battles in Evertile. To avoid any problems with gameplay make sure you have a stable network connection. Sometimes all Wi-Fi bars or mobile coverage is insufficient for a constant connection. This is why a message about Internet connection termination may pop up. This can happen fairly often while driving a car or in underground public transport. We suggest using a Wi-Fi connection with a reliable Internet provider, or at least 3G/4G with a strong signal. Every player must have 8 tiles in battle, no more, no less. Check tile parameters while you’re creating your Battle Deck. Make sure to check mana values too. The higher the value, the faster the mana bar will fill up, and you’ll be able to use your character’s ability. A wide variety of tiles is available to you. Use them wisely to claim your victory! Who are the King and Queen? In Evertile you have the unique opportunity to choose if you want to play as a King or a Queen. The choice itself doesn’t influence the gameplay process. It’s just a matter of taste. If you decide to change your avatar, you’ll be able to do it on level 4. Simply enter the Settings section. Note that you can make such a change only once. Select a leader for your tile army and march on toward great adventures! What is a character ability? Regardless of whether you play a King or Queen, your character has their own abilities. A character ability is a unique skill which can be activated during a battle depending how full the mana bar is. At the start only one ability is available, but more are unlocked with new levels. Also, with each level up all previous abilities get better. Thus, the higher your level in the game the more powerful your character. NOTE! Victories in battles, opening chests, and character changes do not impact getting new abilities or upgrading old ones. Only your game level determines abilities! So upgrade your Battle Deck and get more and more powerful. Mana is a precious resource which allows for activating your character’s ability during battles. With each successful attack by your tile, your mana bar fills up. Once it’s full, your character’s unique ability becomes available. As you might have noticed, everything requires balance. While creating your Battle Deck check the tiles you select and their mana values. The higher the value, the faster the mana bar is filled up, thus enabling you to use your character’s ability more quickly. Note that each character ability requires a particular amount of mana. IMPORTANT! During your turn mana gradually burns out. So the slower you perform in your turn, the less chance you have to activate your character ability. Who gets to move first? The privilege of the first move is granted by her highness Lady Luck. So… Good luck! What do the skulls over/under the Arena mean? One skull represents one tile on the battlefield. When a tile dies, a skull is crushed. The aim of the game is to destroy all enemy skulls. Trophies are rewards for a victorious battle. When you enter an Arena, an opponent with the most similar number of trophies to yours is selected. When you win a battle your number of trophies increases. But if you lose, trophies are deducted. Why does an opponent with 7 crushed skulls still have three tiles on the battlefield? We want to make the game process interesting and lively. To make it possible for a player to have a chance at victory till the last breath and to prevent them from quitting the battlefield in despair we decided to make a looped Battle Deck. This means that when a player has only his last tiles left, tiles from the already-used parts of the Deck appear, giving them a chance at victory. Can I influence the order in which tiles appear on the battlefield somehow? How do I get to the next Arena? The only way to get to a higher-level Arena is to earn enough trophies in battles against other players. Any player persistent enough can achieve the unbelievable and win fantastic rewards. Why did my tiles receive damage at the end of my turn? To make sure game play is dynamic, we restricted the time you have to take your turns. Nobody wants to wait 5 minutes while their opponent comes up with an idea for their next move. If your tile takes no action during your turn, penalty damage is imposed on it. Evasion and stalling don’t pay! If you don’t want penalty damage, take your turn on time. How are opponents matched in the game? The game will find you an opponent with a similar number of trophies as yours. The game doesn’t take into consideration the level of opponents’ cards. Sometimes it’s possible there’ll be a big difference in the number of trophies between you and your opponent, but remember that defeating a more powerful enemy gives a big boost to your satisfaction level. Does your game keep crashing? Is it loading improperly? Try the following troubleshooting tips: Make sure you’ve downloaded the game from the Google Play Store. We can’t verify the safety of versions downloaded from other sites. Free up device memory by closing running unused background apps. Increase storage memory by uninstalling apps you no longer need. Also, try transferring (or removing) videos and pictures from your device. Please note, our games run best on devices that meet the following (minimum) specifications: – 0.5 GB of RAM (1GB or more recommended) (Enter Settings > Storage to check available GB) – Android OS 4.1 or better (Enter Settings > About device > Software Info to verify OS) – 800×480 screen resolution There’s now a stack of Android devices out there, some operate very differently than others. Please consult your device manual if additional adjustments are needed. If your game has gone silent, there are plenty of potential fixes. Start by checking the in-game settings. Are your sound effects set to “on?” They should be. If your settings are in order, but your game’s still muted, restart by fully exiting the app, and reopening it. If neither of these help, please try the following: Important: make sure the mute switch is set to OFF Try plugging in, and unplugging some earphones Open another app, and check if sound is working there. If not, then it probably has something to do with the device, and not the app itself If none of these seem to work, please feel free to submit a support ticket. If you’d like to disable notifications on your device, please follow these steps: – Locate your device settings – Select “Notifications” – Select the game from your Application list > Configure notifications There are many preferences to choose from, allowing you to continue using certain notifications, while offing others if you’d like. Choose which best suits you, and enjoy the custom life. If you’re having trouble connecting the game to Facebook, follow these steps: – Make sure your Facebook app is up to date (updated). – Force-stop the game by entering your Settings > Apps > selecting your game, then pressing ‘Force stop’. – Using the method above, force-stop the Facebook app (if you’re using Facebook in a browser window, force-stop the browser). – Launch the game and try reconnecting the account to Facebook. If it still isn’t working make sure you’re logged into the Facebook app, as well as in your Device Settings. To check the latter: – Enter your device settings. – Find and enter the Facebook bucket > verify that you’re logged in with the right credentials. – Launch the game again & check that your account is connected. Want to play some games, but feel like listening to your own soundtrack? Follow these steps: 1. Enter your in-game settings, shut off the in-game music 2. Double tap the home button and exit the game 3. Put on some sweet tunes 4. Re-open the game 5. Enjoy!